When purchasing a new machine will be pretty easy. 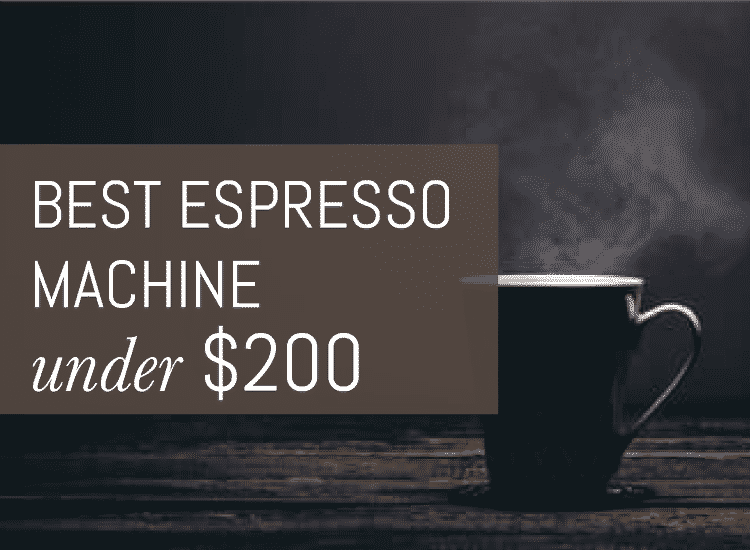 Just keep in mind the 7 things on what to look for in an espresso machine to get the most from your money and get all the features you really need. Its not hard at all and you just need to make sure the machine fits your lifestyle. Everyone’s drink choice, volume and kitchen is different so everything on the list will be your perfect guide. You should know how much the espresso machine can handle before purchasing it. A professional-grade espresso machine should be able to work all day without malfunctioning. A small, budget-friendly espresso machine might break or overheat if used all day. Being able to handle lots of pressure is paramount. Just DON’T buy a cheapy machine and you will be fine. Find out how much coffee beans the espresso machine can hold and if there is an external grinder attached to it. You should also find out the amount of water the tank can hold and how many cups of espresso it can make within each brewing session. If you brew a lot get a higher capacity machine. There are two types of grinding when it comes to espresso machines: using a built-in grinder or a separate grinder. Espresso machines without built-in grinders will need a separate grinder.I have a few articles on the best automatic and manual external grinders if you need one. Only the more expensive super automatic machines will come with the built in grinders. If you brew a lot or have a bunch of people using the machine make sure you get a higher capacity grinder. Built-in coffee grinders are most convenient, but find out if you need to put the ground coffee into the basket after grinding. This is an extra step. Some machines will drop the grinds right into the basket without your help. Pure Bliss! Most espresso machines can hold enough water for making up to 8 cups of espresso. If you need more than that you are making a ton of espresso! Some machines have water tanks with small filling spouts. For these machines it is handy to have a a funnel. Large, high-end espresso machines are designed to connect to a water source, like a refrigerator with a water dispenser. Before you purchase this type of an espresso machine find out if you need your piping rerouted just to accommodate it. Most espresso machines can make espresso-based drinks like, lattes, cappuccinos, and macchiatos. If you like these brews make sure you purchase an espresso machine that comes with a frother which froths the pressurized milk. Most espresso machines come with the frother unless you are going for a really low budget machine. Just be aware that some of cheaper ones do not have it and only make espresso. Find out how easy the espresso machine you would like could be disassembled and reassembled. Cleaning the espresso machine can be a chore, but it is necessary to do every so often to keep it operating at a high level. The water receptacle, the frothing equipment, the cups, and the rest of the parts that will be exposed to moisture should always be cleaned and dried properly after use. MAKE SURE you should also use the correct soap to clean the parts. If not rinsed properly, harsh soap will make your espresso taste awful. If you don’t drink coffee daily, you should find out how easy it would be to store the espresso machine you would like. A large espresso maker could be difficult to store safely. They can be heavy! For instance: if you can’t store it in a kitchen cabinet, you might have to store it in the garage, where it could be in danger of rusting, getting knocked over, and getting fallen upon by the other things you store there. If you don’t have a lot of counter space go for a more compact machine. The factors that make an espresso machine aesthetically pleasing shouldn’t stop at whether it would like nice on your kitchen countertop, coffee table, or dining table. There are several other critical factors, including spout placement, cord length, and what color or material the exterior would bear. If the spout is attached at an awkward location or angle, pouring will be difficult. If the espresso machine you would set your heart on is made predominantly of stainless steel, but most of the other appliances in your kitchen are black or white in color, the espresso machine will stand out like a sore thumb. An espresso machine white or black in color would stand out in the same way in a kitchen in which the rest of the appliances are made of stainless steel. If the espresso machine would need to be refilled regularly, a short cord could make doing so a hassle. And that sums up all the things you need to know on what to look for in an espresso machine. With these in mind, you are set to buy your best espresso machine.